Click For More Information About Building a New Home on a Lot in River Club! River Club is an upscale community located on the Tchefuncte River in St. Tammany Parish south of I-12 off of Brewster Road. This deed-restricted, gated community offers waterfront living in a private greenspace setting that is close to I-12, minutes from Lake Pontchartrain Causeway Bridge and convenient to shopping, top rated private and public schools, parks, dining and entertainment. Nestled in a mature cypress swamp, River Club is abundant with wildlife, vegetation, natural forest and landscaping. Residents enjoy a waterway oasis including a private marina and waterfront lots perfect for a new home. This pristine waterfront community offers 203 single-family home lots which include deluxe lots, estate lots, and waterfront lots priced from $75,000 – $435,000. Homes in the community start in the mid to upper $700’s. 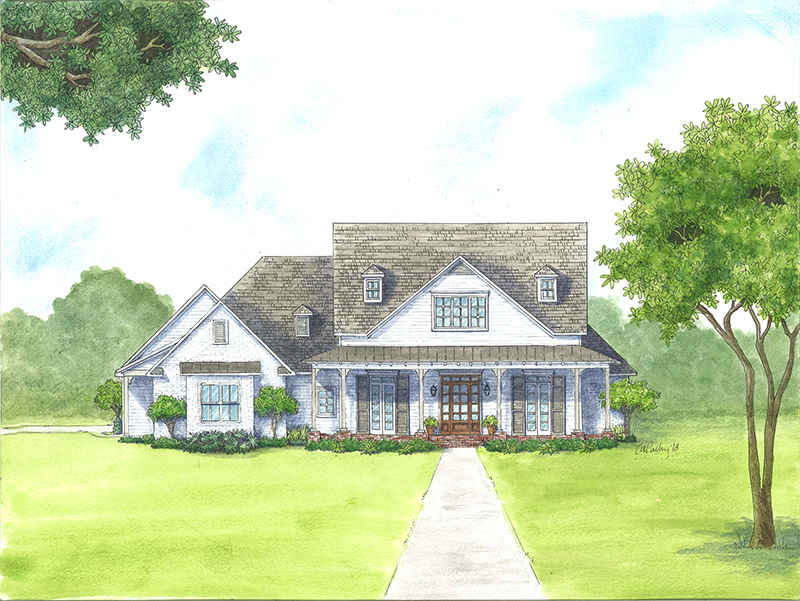 Phase I in River Club includes 25 waterfront lots, 16 estate lots and 14 deluxe lots. The town of Covington is in a perfect location positioned between all that New Orleans has to offer and the “bedroom community” of the Northshore, close to shopping, dining, and entertainment but without the congestion of living in a bigger city. Residents of this historic city can access recreational activities such as boating, fishing, and swimming in Lake Pontchartrain, the Bogue Falaya River and the Tchefuncte River, as well as biking, running, walking, or riding on the many miles of the Tammany Trace. The commercial district of Covington, Louisiana, also includes top-notch restaurants, boutique shopping and depth of culture with gallery openings, theater productions, the Annual Three River Festival, and the Madisonville Wooden Boat Festival. If you are a fine dining connoisseur the area offers many white table restaurants from which to choose, such as DiCristina’s Italian and Seafood Restaurant, Toad Hollow, Keith Young’s Steakhouse and The Dakota. If you want a sit-down casual dining experience, homeowners can visit Olive Garden, The Chimes-Covington, Lola, Del Porto, Osaka West Japanese Sushi & Hibachi Restaurant, Bear’s Restaurant, Chili’s and too many more to mention. Shopping is abundant in Covington. Well known stores such as Target, Kohls, Ross, Academy Sports, and TJMaxx are just to name a few. For malls and shopping centers you will find The Village Shopping Center which includes Talbots, Chicos, and Sunglass Hut. The shopping district of Pinnacle Nord du Lac includes Hobby Lobby, Academy Sports, Kirklands and Petco. The River Chase mall district offers department stores and box stores, such as Belk, BestBuy, Carter’s, JCPenney, Sam’s Club, Marshalls, and Michaels.